There’s many reasons why you may be looking for meeting room rentals in Hong Kong. It may be because you have no rooms available at work for an upcoming meeting, or you may wish to schedule a meeting in a location more convenient for a client that is on the other side of the city. And whether you’re holding an internal meeting or one with a prospective client, you want a meeting room that has all the best amenities and facilities. Luckily, you’ve come to the right place. At 2book, we help you find the perfect meeting room for your needs in Hong Kong. From meeting room rentals in the heart of Hong Kong to the outskirts of the New Territories and everywhere in between, we guarantee that you will find the perfect meeting room for you. Impress your clients or colleagues by hosting your next professional meeting at a space that will truly do justice to the occasion. 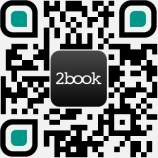 2book is a directory that includes all of the most prestigious venues throughout Hong Kong. From party venues to kitchen rentals, we truly are the go to destination when it comes to finding the perfect space for every occasion, no matter what kind of event you’re hosting. With a wide range of different venues located all across the city, you’ll find exactly what you’re looking for no matter how many people you’re inviting or what kind of event you’re organising. The friendly team at 2book are always happy to help out with any enquiries that you may have. To get in touch with us, simply pay a visit to our contact page now.